Our trail guide, botanist Judy Kelly, led the 2018 spring hike through a forest that looked like there wasn't much to offer. Incredibly, because of her knowledge and expert eye, we found a wide array of native and invasive plants and trees. 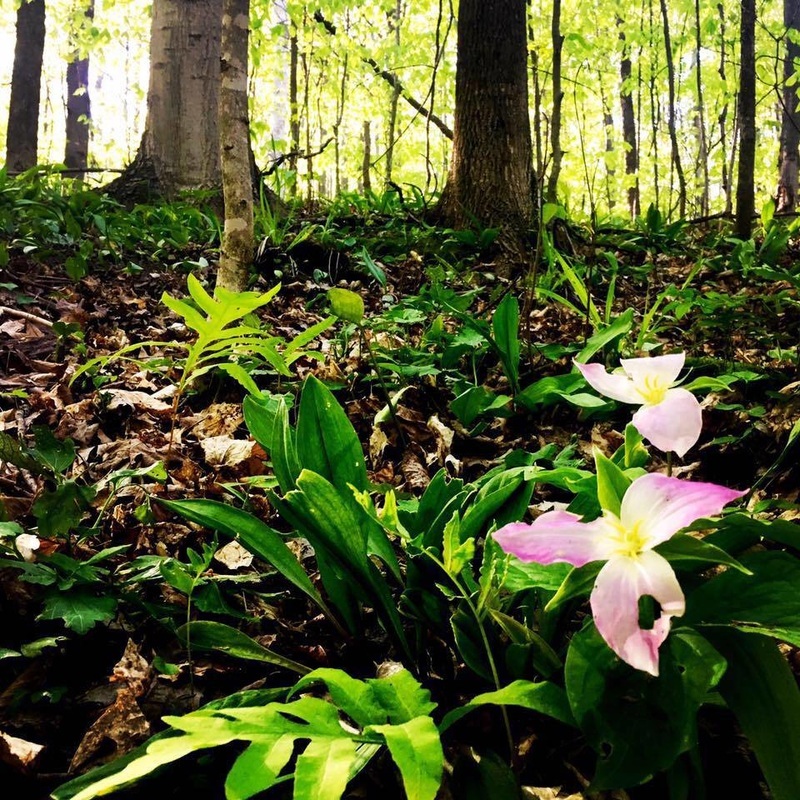 Some of the species included trout lily, hop hornbeam tree, autumn olive, bracken fern, hepatica, trillium, wild leeks, star flowers, wintergreen, Canada fly honeysuckle, and a pink lady slipper. In the winter months, we host snowshoe hikes and discuss tree identification, animals tracks and the northern Michigan winter scene. Stay tuned for a fall hike to identify mushrooms! These are free events--all ages welcome. Please come out to identify and observe wildflowers, ferns, lichen, trees, bird species, ​and more! Great white trillium - Trillium grandiflorum. ​Did you know the white petals turn pink as they age?